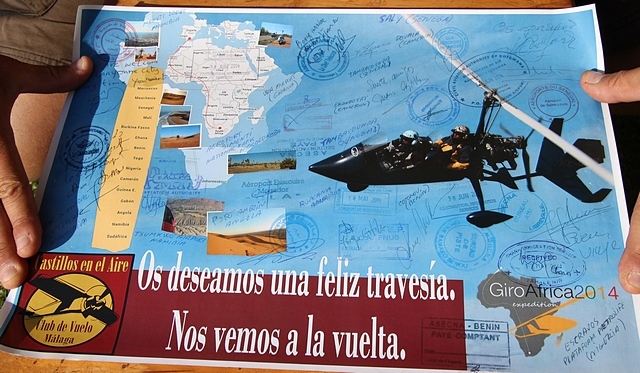 Francis Gimenez had a dream to one day fly his ELA Autogyro from Spain to South Africa. 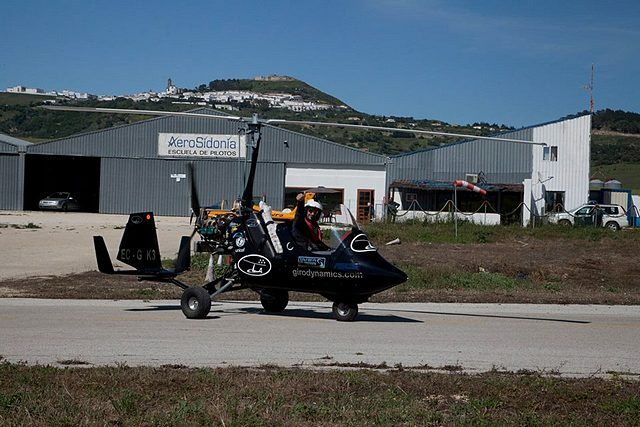 Unlike most others Francis did not just dream but made the dream come true.On 25 April 2014 Francis together with friends and fellow ELA pilots and owners Nacho Yuste and Pablo Benthem departed Spain for the first leg of their journey over the Strait of Gibraltar to the coast of Morocco. It was quite natural that they should have chosen the Spanish designed and produced ELA for their adventure. 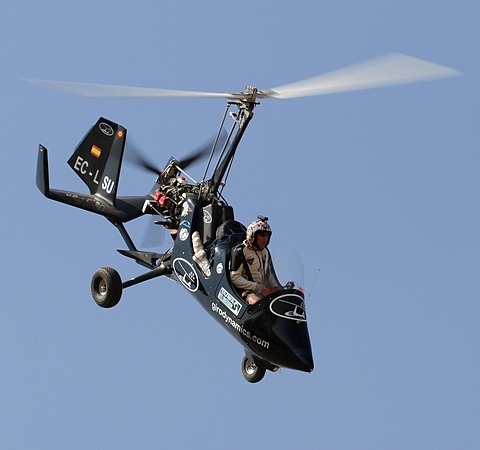 The Autogyro was designed by Don Juan de la Cierva Codorniú a Spanish aviator and engineer. 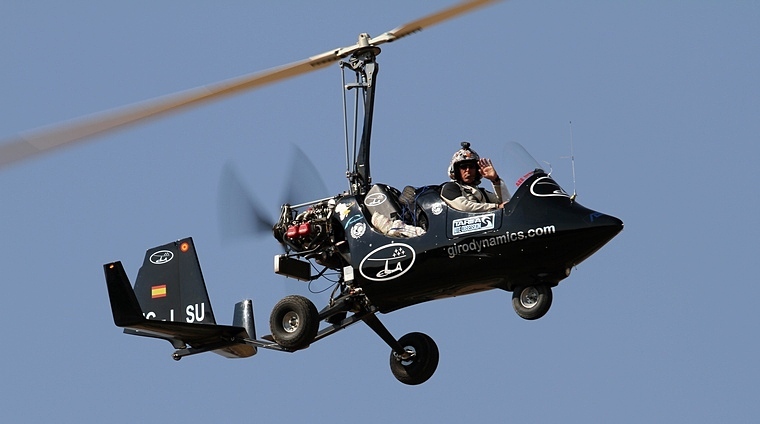 His invention largely led to the invention of the helicopter. 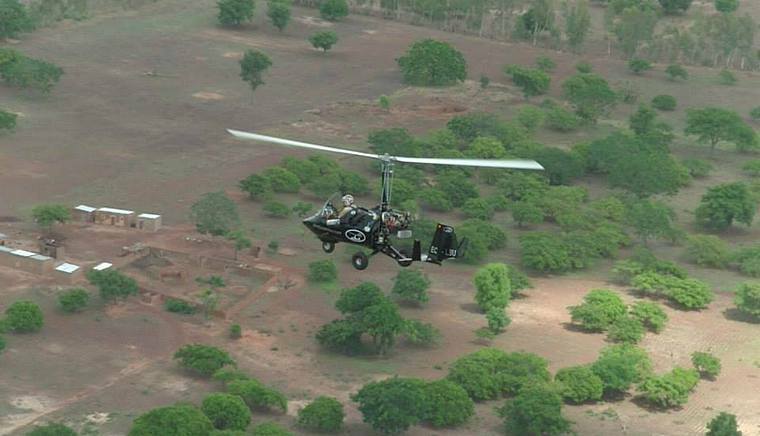 The reason for their trip was quite diverse; they wanted to prove that the Autogyro was able to undertake a trip of this nature and also to expose as many as possible inhabitants of the African continent to the freedom of flight. 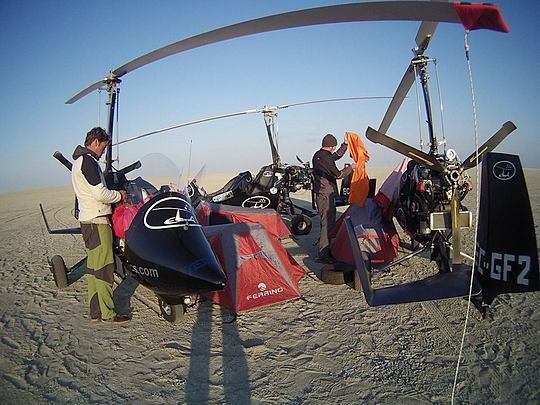 Never before has a trip such as this been undertaken in Autogyro's. 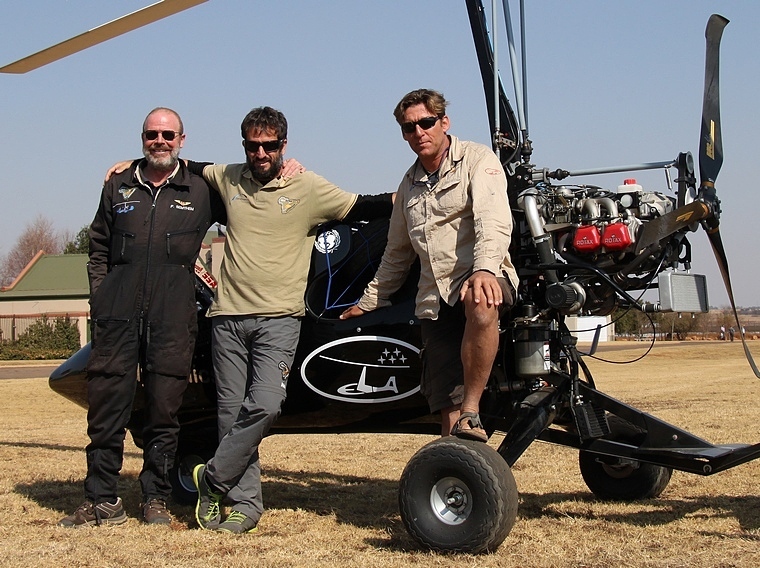 Flying down the west coast of the vast continent of Africa the intrepid expedition members encountered a diverse range of climatic conditions ranging from the dry heat and dust storms of the desert to the humidity and tropical storms of the dense tropics. 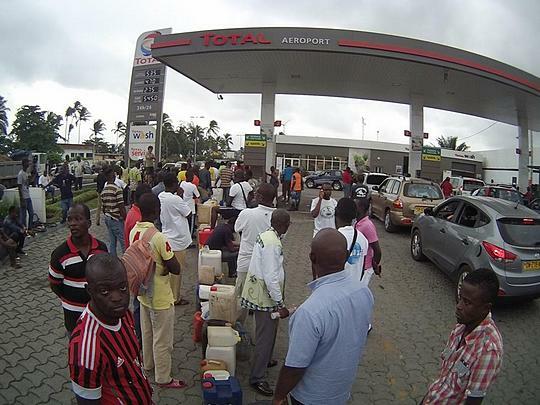 Fuel problems, mainly the lack of Avgas as well as bureaucracy were the main stumbling blocks encountered on the almost two and half month long journey. They flew low, admiring the large open landscape dotted with huge termite mounds and straw huts on the first African leg. Despite the bureaucratic problems so endemic to Africa they were almost always greeted by curious friendly crowds that surrounded their strange crafts. Whenever they could they visited the many game preservation areas, sleeping in the open, marvelling at the strange sounds that filled African Sky. During the day in temperatures reaching the middle forties they explored and was rewarded by happening upon troops of giant monkeys, hippos, crocodiles, pelicans and various horned animals. 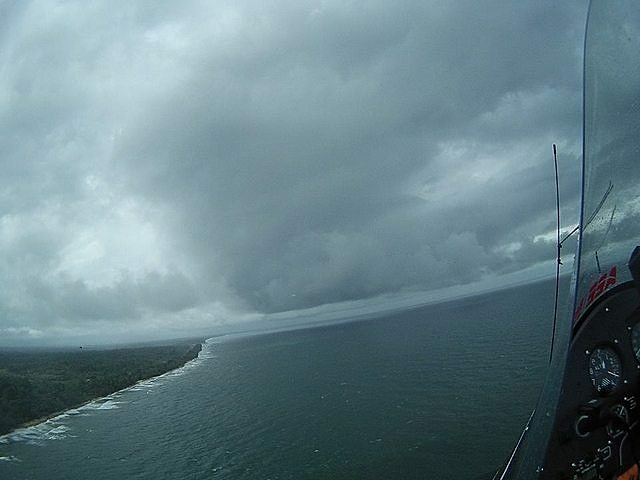 Thunderstorms as they approached the inter-tropical convergence zone were a problem. Their aircraft offered little protection against the many storms, huge clouds filling the sky like curtains with pouring rain and severe downdrafts. At stages they had almost zero visibility and going over the top was no option. They would then be forced to land cowering from the sheets of rain until it subsided and then set out again. By the time they reached Ghana they had already travelled 3736 miles (6,012 kms) mostly over barren and inhospitable terrain. The storms continued on their way to Burkina Faso. Getting Avgas was well neigh impossible and Mogas not much better. Getting Mogas meant going into town, filling containers and returning to airfield, sometimes having to make the journey more than once. Their record for queuing was nine hours before they got their containers filled. Getting into Nigeria was difficult and to make matters worse they made an emergency landing on an estate in Doula. The local populations fearing that it was attack by Boko Haram disappeared into the surrounding bush. 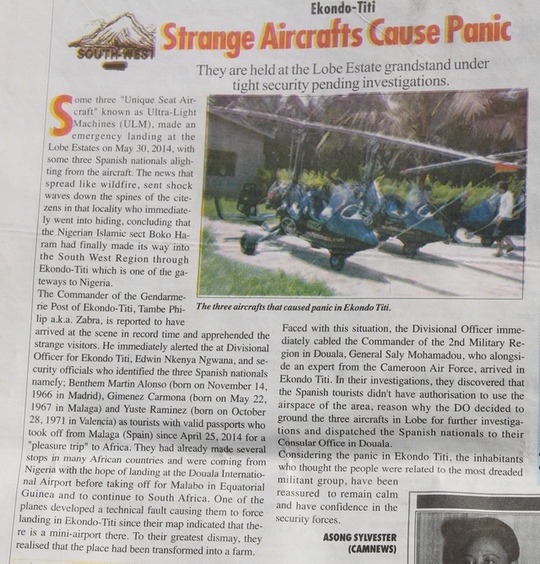 The local Gendarmerie was soon on the scene and although it was found that their passports were in order they had no permission to be in the area and their aircraft were impounded. Fortunately with the assistance of the Spanish Consulate the problem sorted. 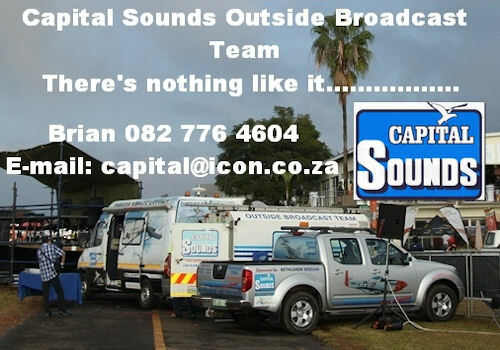 The balance of the journey south was fairly incident free and the cleared customs at Pilansberg and arrived at Fly In Estates between Kempton Park and Bapsfontein where they were welcomed by Anthony Cohen the local ELA agent. They had visited 16 countries, travelled 12,800 km and the whole adventure took 68 days.